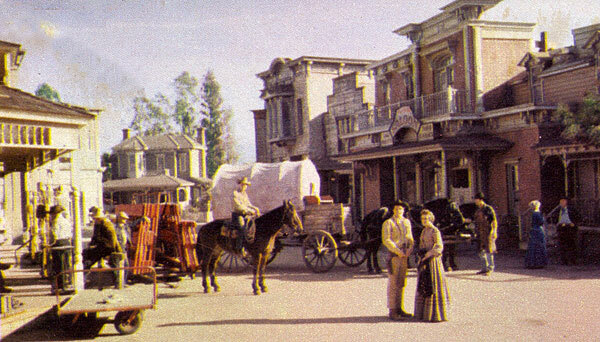 on the old Republic Western Street. 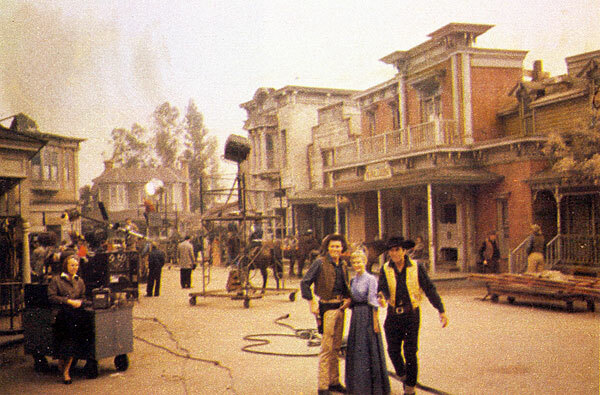 “Cimarron City” with John Smith, Audrey Totter and George Montgomery. 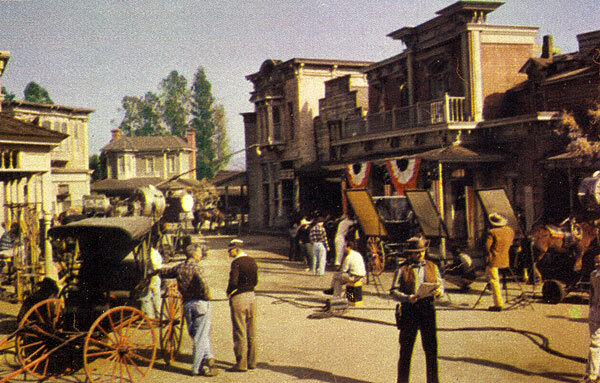 John Payne checks his script for a scene in “Restless Gun”. 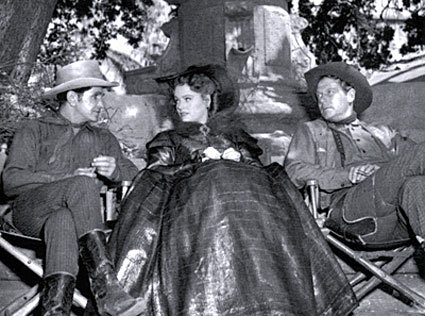 “Wagon Train” with Robert Horton and guest star Phyllis Thaxter. 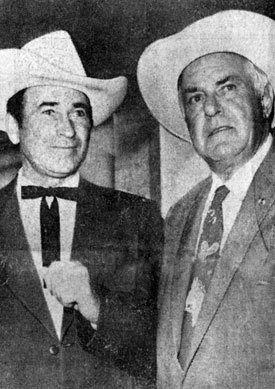 “Tales of Wells Fargo” with Dale Robertson. 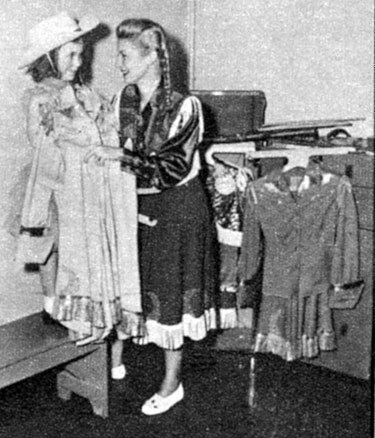 Mama Gail Davis readies her daughter Terrie for her first photo shoot in 1958. Lockheed Aircraft luncheon in 1949. 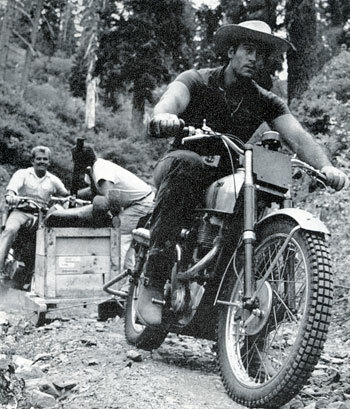 Cint Walker, while panning for gold in the south fork of California’s Feather River, hops on his motorcycle to tow an equipment laden sled by rope. The several hundred pound load included gear, dynamite and aqua lungs. 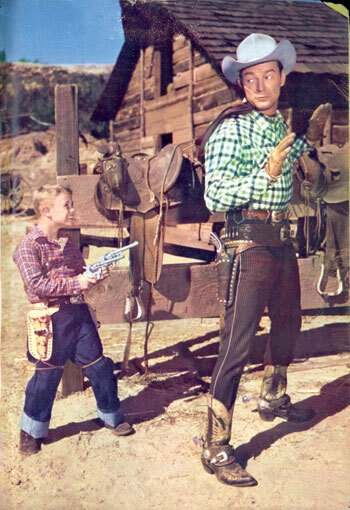 Six year old Deever Jenkins holds Roy Rogers at bay for a 1955 TV GUIDE photo shoot. 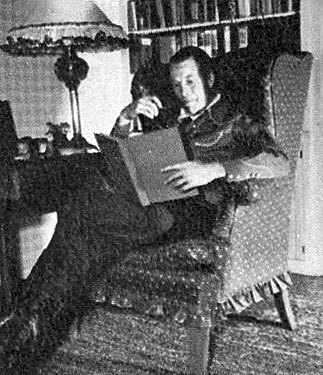 Bill Elliott...Red Ryder...relaxes at home in 1944. 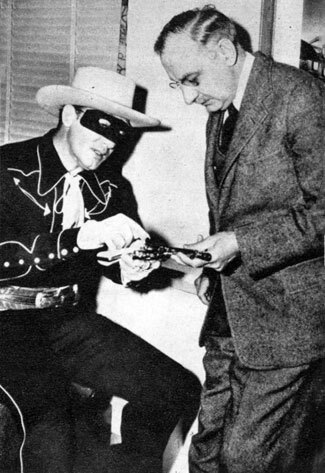 H. R. Bauckhage (1889-1976) listens instead of talking when The Lone Ranger (Brace Beemer) shows the radio commentator his six-gun in 1945. 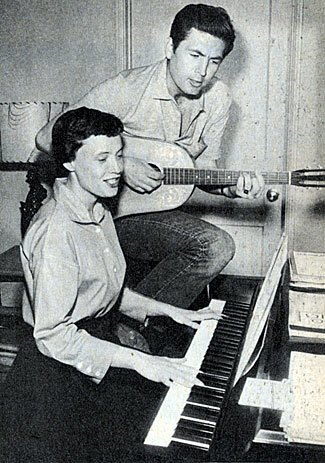 Davy Crockett...Fess Parker, a guitar player since college days, composes a tune in 1955 with his then girfriend Marcy Rinehart. 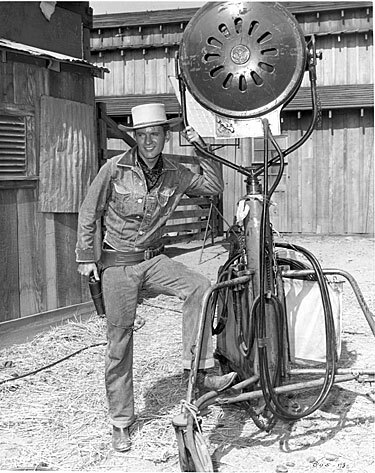 B-Western star Hoot Gibson died August 23, 1962 in Woodland Hills, CA. 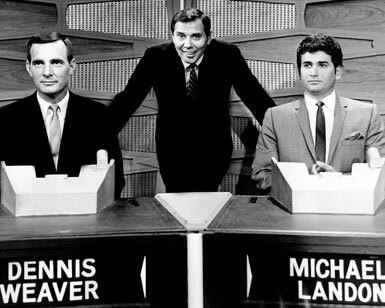 He was laid to rest August 27, 1962. A huge contingent of Western stars turned out to give Hoot his last roundup. 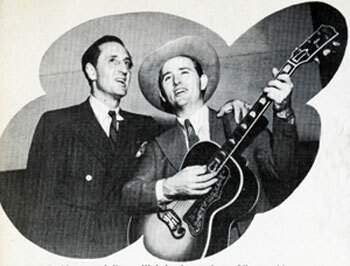 Eddie Dean sang “Empty Saddles” and “In the Garden”. 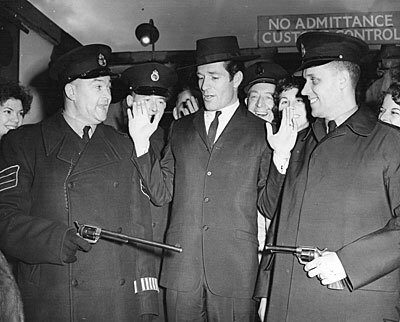 Among the pallbearers was Bob Nolan. 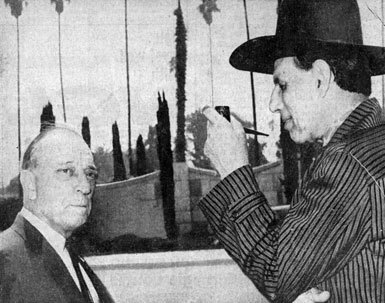 Also in attendance were Buster Keaton, Iron Eyes Cody (both above), Montie Montana, Ken Maynard (above), Roy Rogers, Wallace Ford, Bob Steele, Jackie Coogan, Philo McCullough, Jack Mulhall, Reginald Denny, Bud Pope, Russell Hayden, Bud Osborne, Cliff Lyons, Jack Perrin, Edmund Cobb, Tim and Glenn Spencer (of the Sons of the Pioneers), Hank Worden, Sally Eilers, Mrs. John Ford, Harry Carey Jr., Buddy Roosevelt, Ed Cassidy, Ray Whitley, Rex Lease, Joe McGuinn, Glenn Strange, Harry Fraser, Fred Gilman, Kermit Maynard, Tom Keene, Carleton Young. 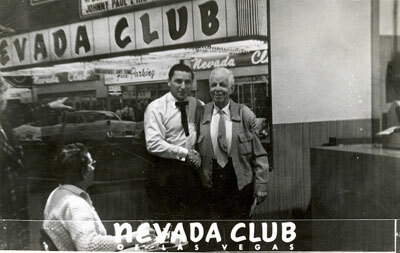 Hoot Gibson in his later years at the Nevada Club in Las Vegas, NV. 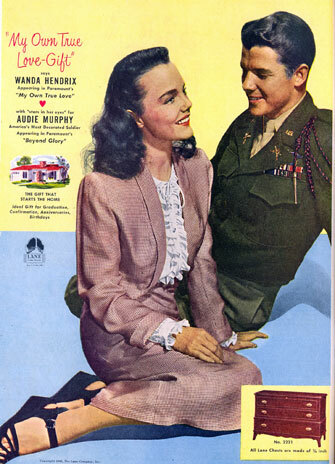 Wanda Hendrix and Audie Murphy in a advertisement for Lane Cedar Hope Chests in June, 1948. 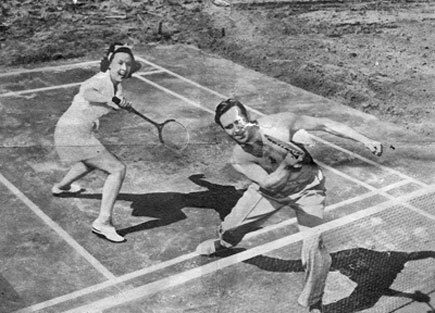 “South of St. Louis” (‘49 Warner Bros.). 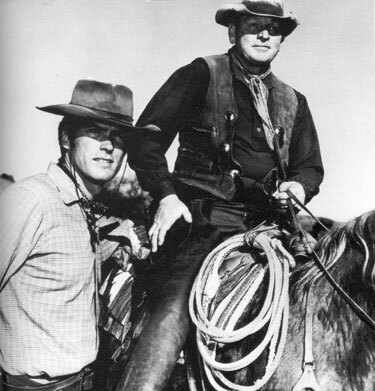 Clint Eastwood of “Rawhide” with rodeo stock contractor Don Hight in 1962. 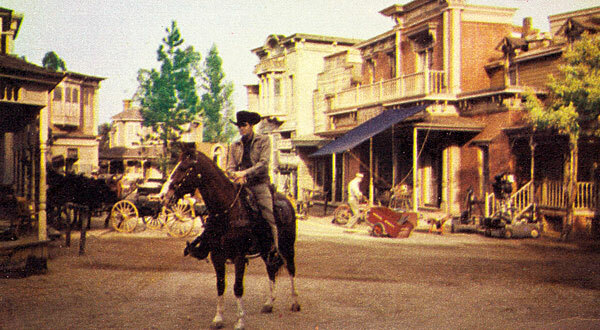 Will “Sugarfoot” Hutchins poses for a publicity shot on the Warner Bros. backlot. “Reach Mister!” A little sharpshooter gets the drop on Sunset Carson. 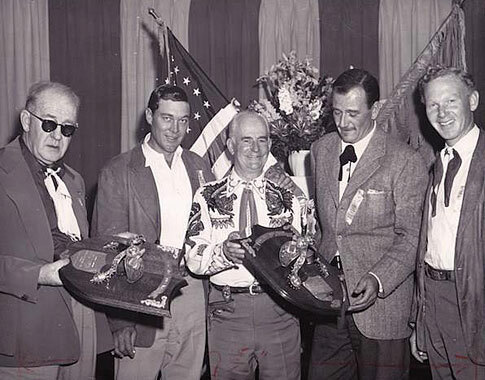 John Ford and John Wayne accept Silver Spur Awards in ??. 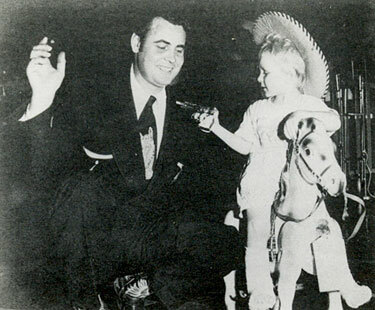 Accompanying them are Ben Johnson and Harry Carey Jr.